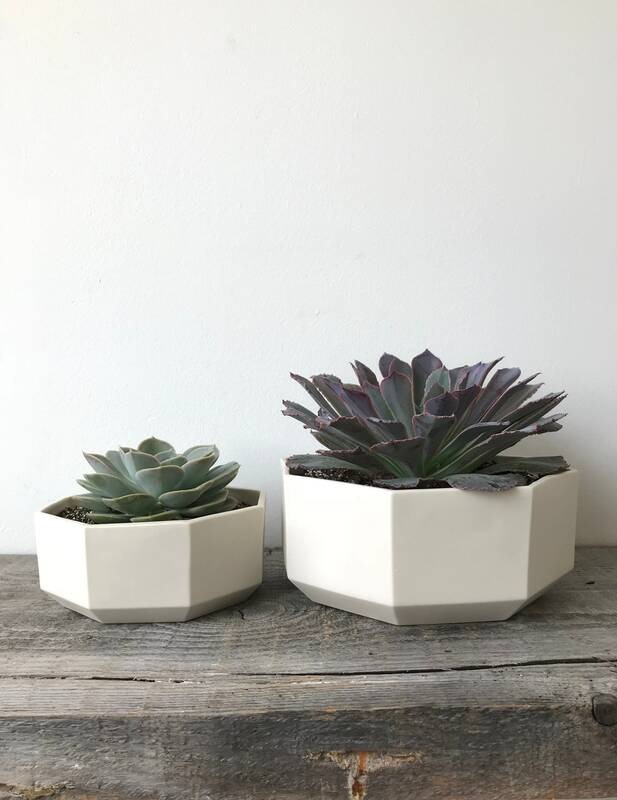 Great size to use as a shallow succulent planter. 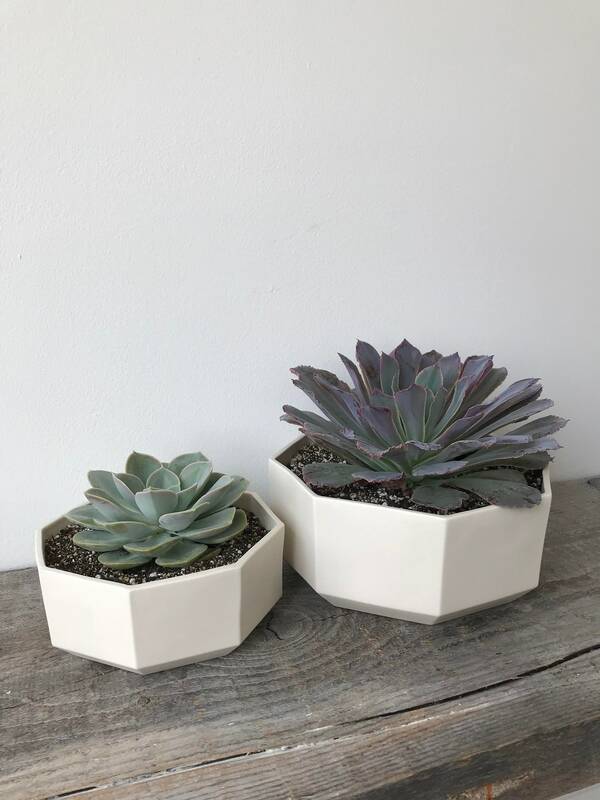 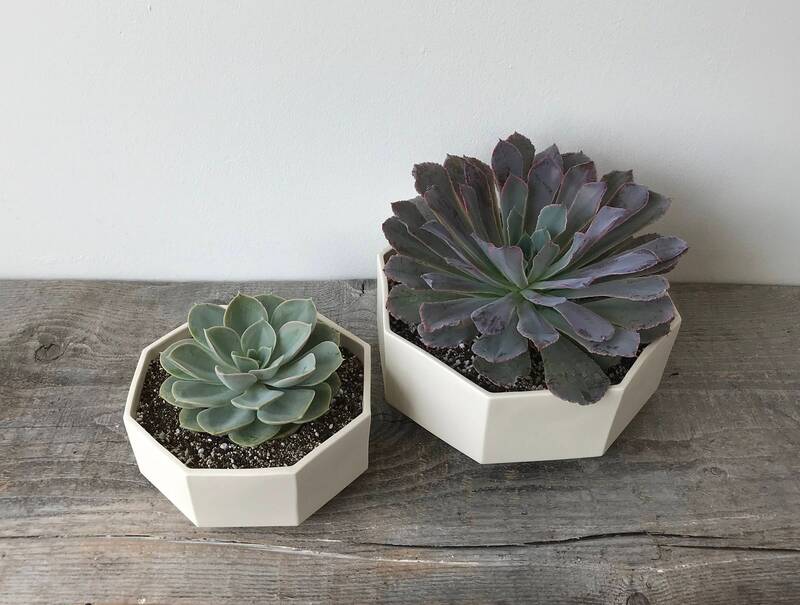 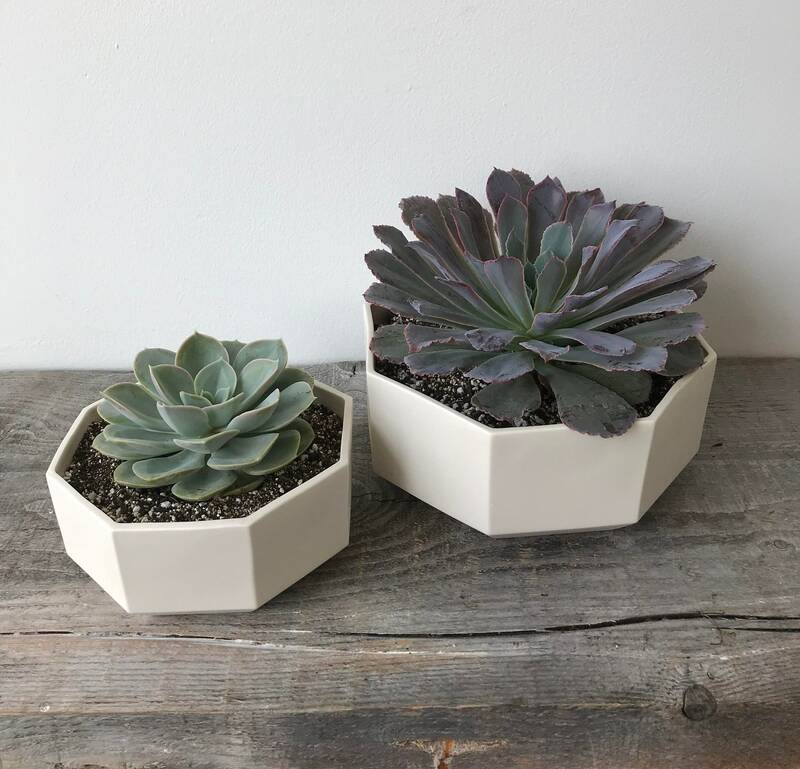 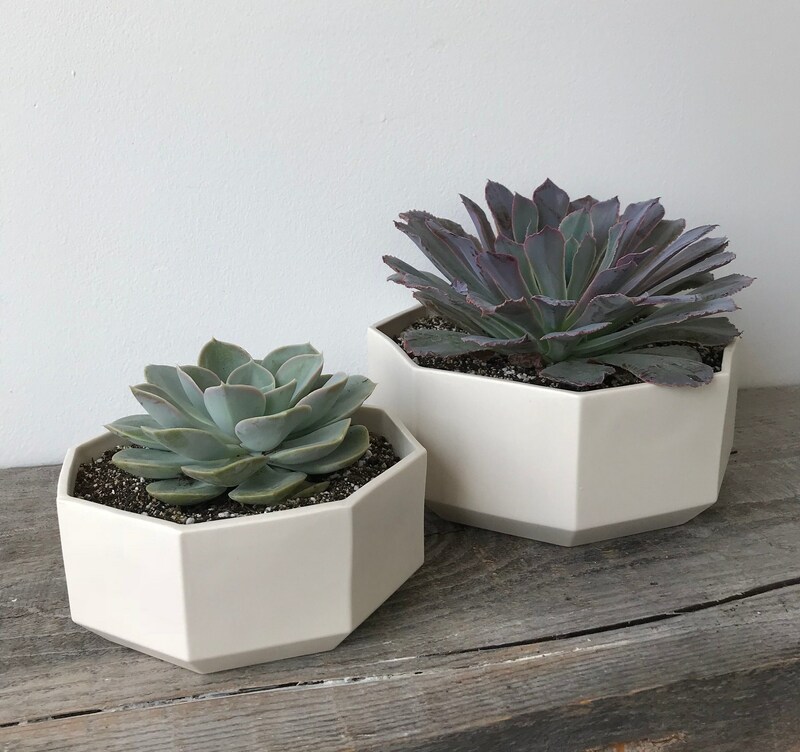 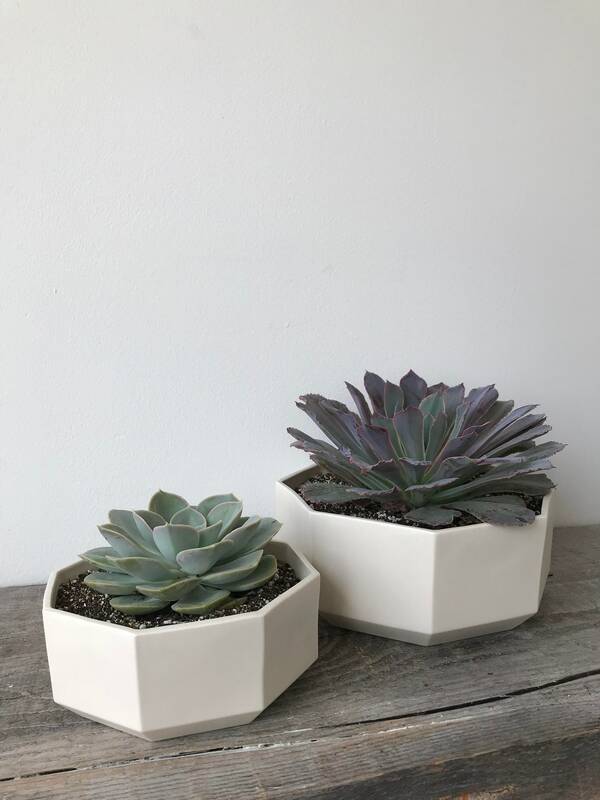 Our porcelain octagon planter is available in two sizes small or large or as a set of 2. 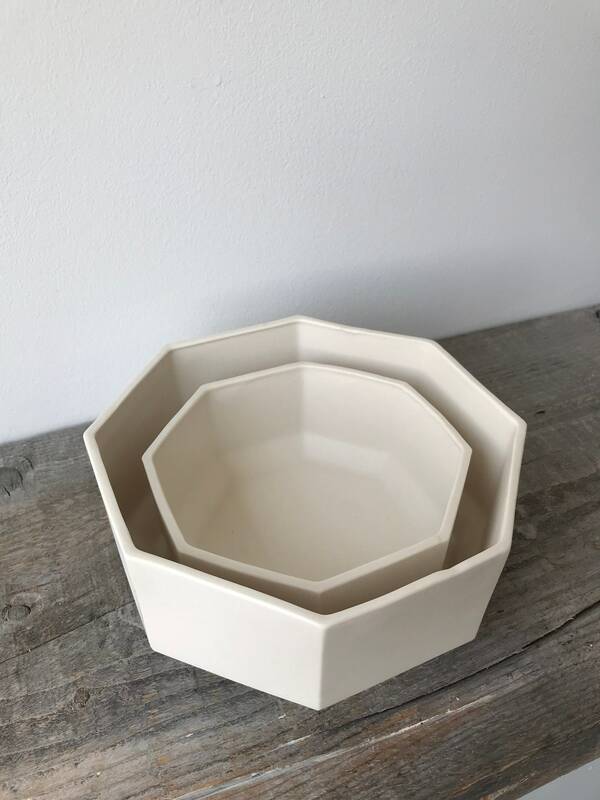 This beautiful white, matte surface is perfect with any modern decor setting and makes the perfect gift! 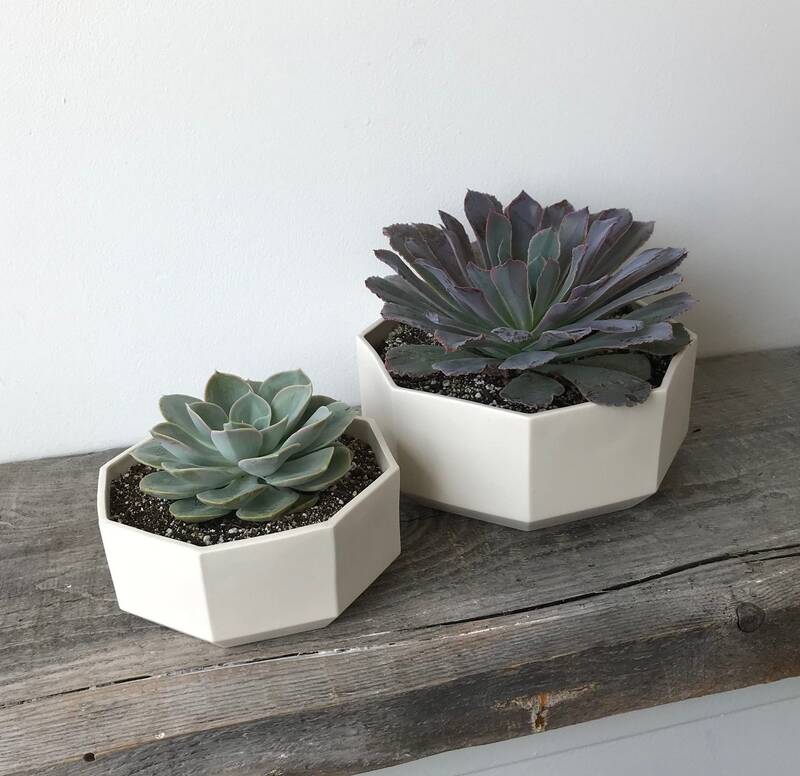 Great for air plants, potted indoor plants, or cacti, succulents or small bonsai. 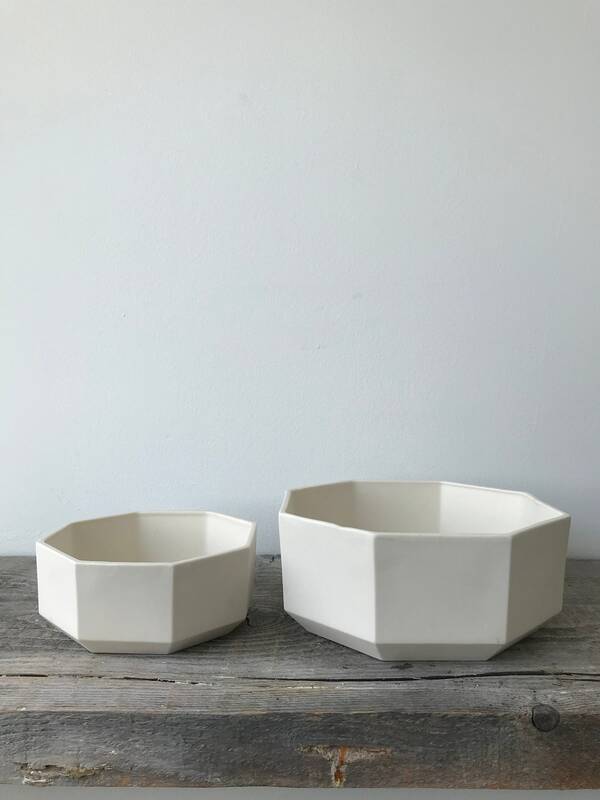 Please note: Shipping is calculated based on an order for the grouping of two. 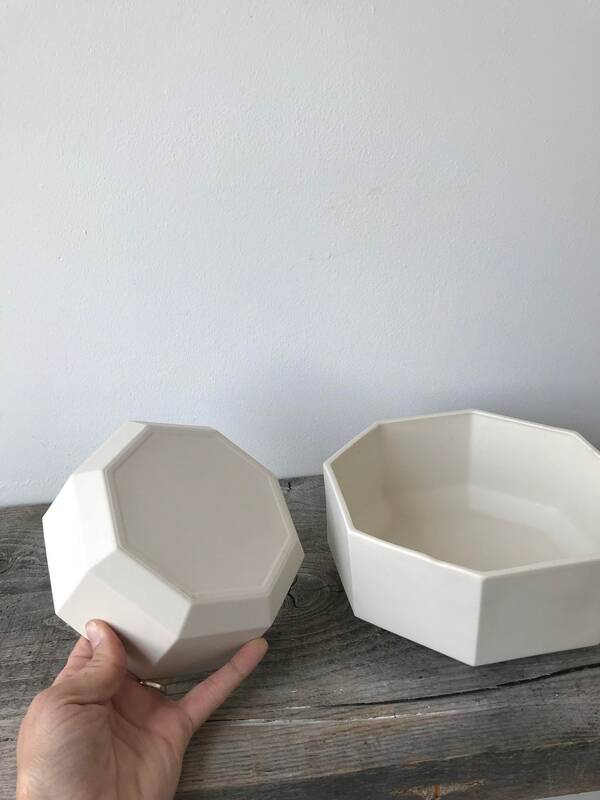 Any shipping overages will be refunded.